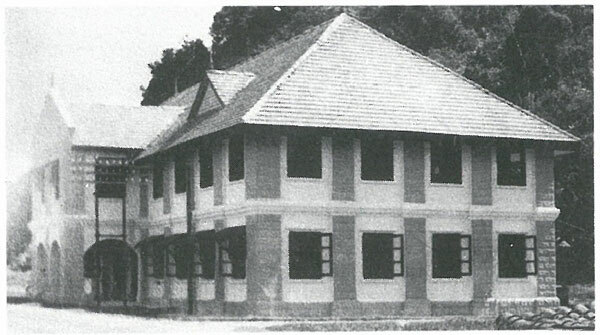 Sabah Tourism Board building in 1918. KOTA KINABALU: The Sabah Tourism Board (STB) building will be 100 years old on March 16, 2018 and an organising committee has been formed between PAM Sabah Chapter and Sabah Tourism Board (STB) to celebrate the auspicious occasion next year. “The building, of which the opening was officiated by the governor Mr Pearson, on March 16, in 1918, will be exactly 100 years old next year,” said Ar Victor Wong, the organising chairman of the PAM-STB organising committee. Wong is the Immediate Past Chairman of PAM Sabah Chapter and chairman of the Heritage and Conservation Committee under PAM Sabah Chapter. The STB building was one of the buildings that were fortunate enough not to be destroyed during the Second World War, by the allied bombing in the Jesselton then. It is now one of the only three buildings in Kota Kinabalu gazetted for conservation and heritage. The other two buildings are the Atkinson Clock Tower and the Lands and Survey Department building, which were later converted to the Department of Social Welfare that was destroyed by fire in the morning of December 31, 1992. “The building was first occupied in 1918 by the Government Printing Department when completed, but later renovated in 1936 to house the Treasury, Audit Office, a bank and the Post Office,” Wong added. The building underwent restoration in 1989 and it was officiated open on January 19, 1991, to house the Sabah Tourism Promotion Board, now the STB office. On March 16, 2011, the Kilometre Zero or KM0 was set and planted by the Royal Institute of Surveyors, Sabah at a spot in front of the STB building, to mark it as the starting measuring point of all the places in Sabah. “The building which was originally designed and supervised by JW Norman, an executive engineer with the Public Works Department, featured a very formal axis with two arches at the facade at the front. The building was built of block stones, different from the normal construction of the day using timber. It was described as the best in Borneo by the governor during the opening ceremony in 1918,” Wong said. Sabah Tourism Board chairman Datuk Joniston Bangkuai said a series of activities would be organised gradually leading to March 16, 2018. “This is a historical moment for the city as it adds value and characteristic to its landscape. It is also a milestone for Sabah Tourism, its employees as well as the public to witness a centennial celebration of a heritage building,” said Joniston.